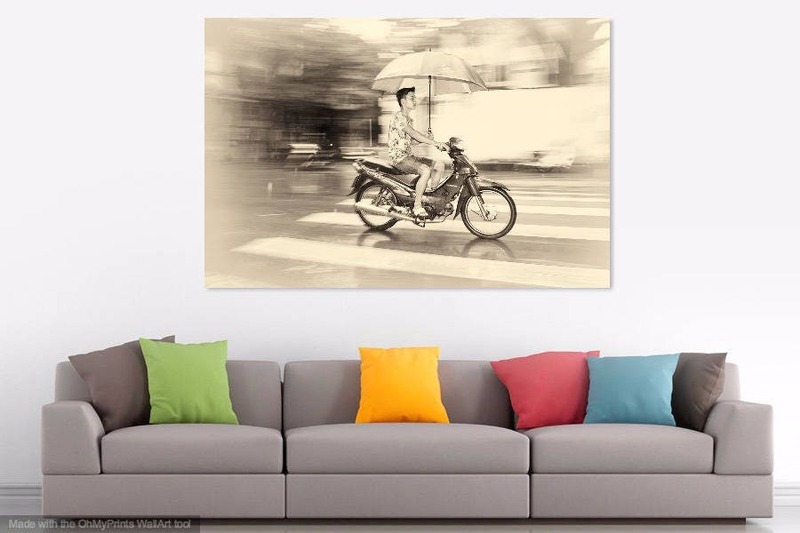 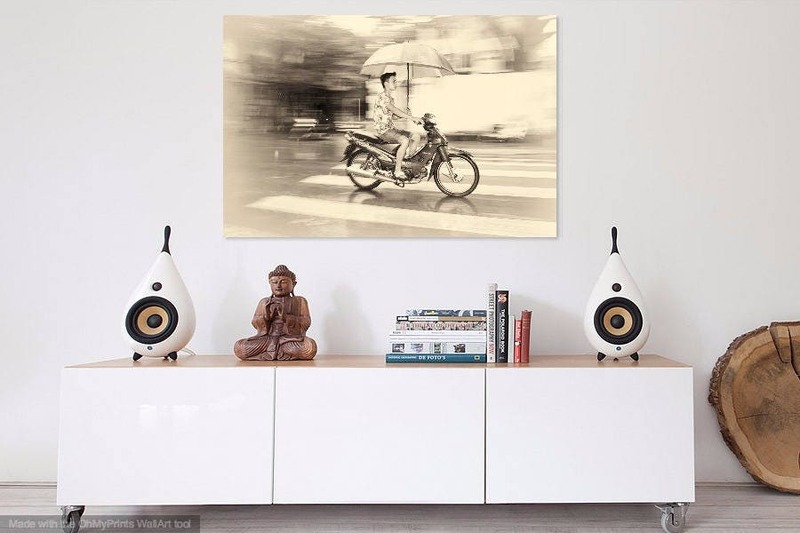 A Giclee photographic print of a man riding on his motorbike along the streets of Hanoi, Vietnam while holding an umbrella. 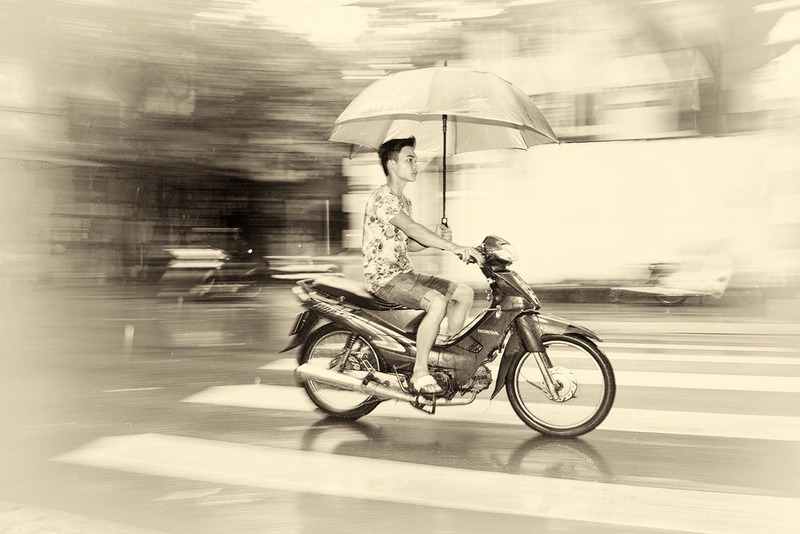 A great example of Street Photography ! 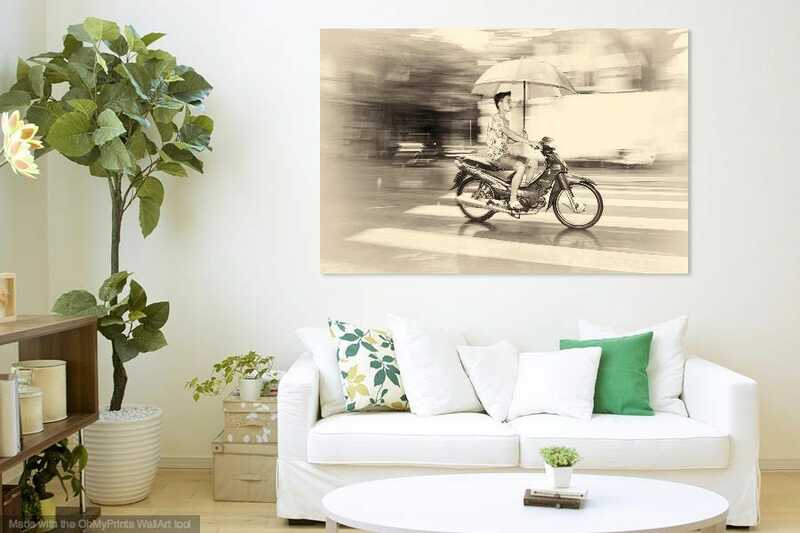 Print Size - 33.1 x 46.8 inch / Price £599.00 / Limited Edition of 20. 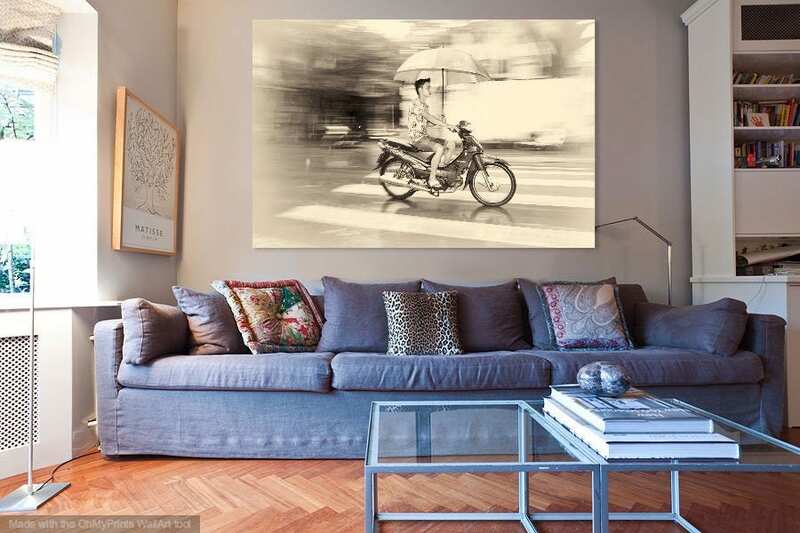 Print Size - 40 x 60inch / Price £899.00 / Limited Edition of 15.